I seem to be on a kick to finish up things from long ago. Here is another one of those projects I just finished. I don't usually embroider other people's patterns, but this one so intrigued me I couldn't resist. 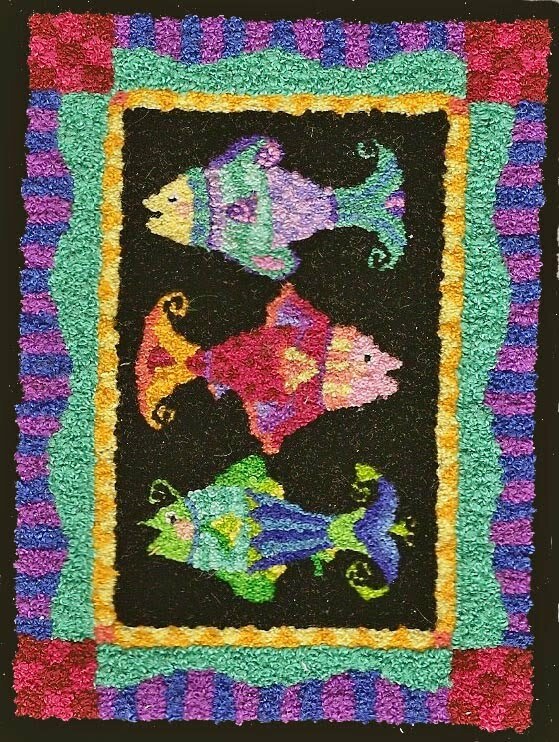 It is called Wild Salmon by Teresa Layman and it is all done in french knots. Not just any french knots, but using only one strand of floss! Fortunately it is only 2 7/8" by 3 3/4" and even with that small size it took quite awhile to complete. 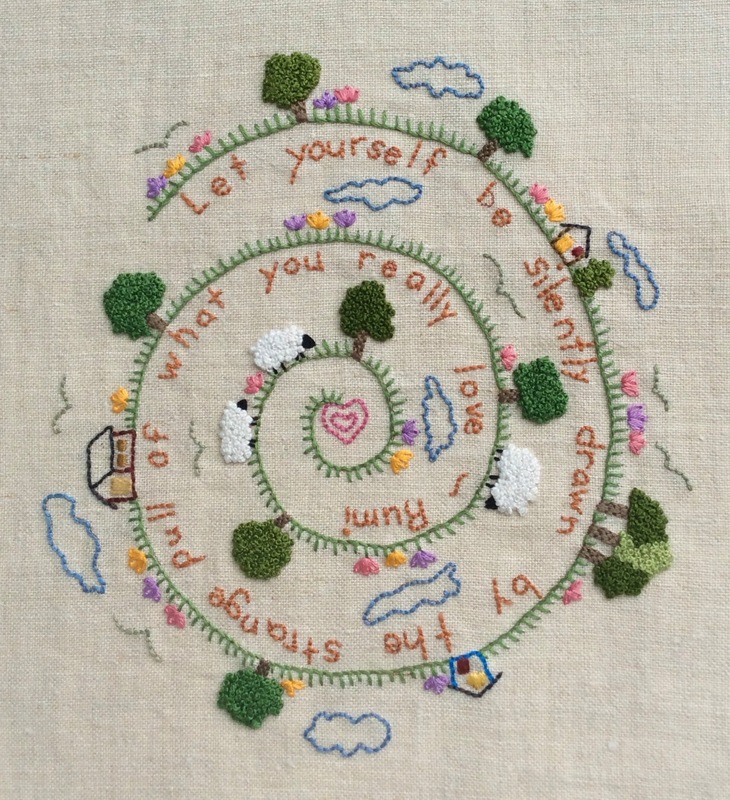 Teresa Layman makes some really charming designs and you can see others here and maybe you will get inspired to make some french knots! All those french knots with ONE strand? Oh. My. The mind boggles. Like the fishes though!! Oh I love french knots! What a cool design too. 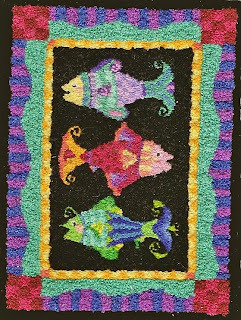 French knots...that's interesting, and using only one strand,WOW!